When it's your turn to plan the next family celebration, you might be tempted to stick with the tried-and-true party ideas that have served you well in the past. 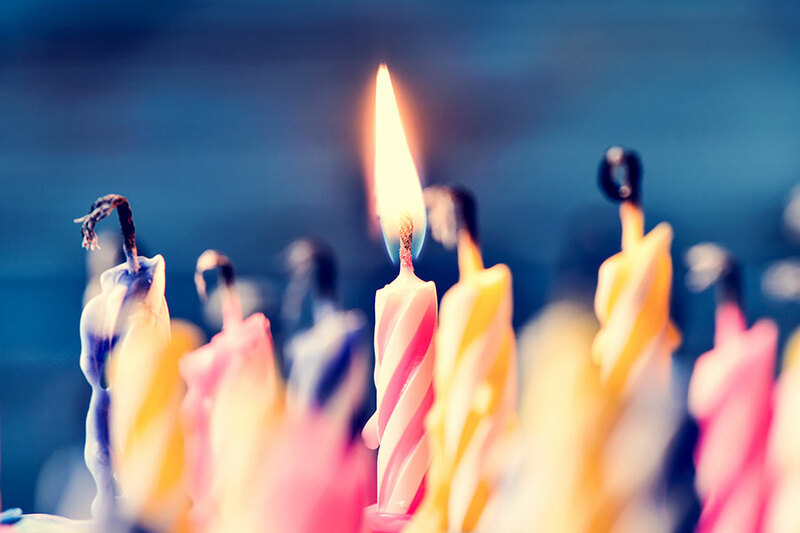 Balloons, party hats, and a rented hall might be how you've always thrown a birthday party, but maybe it's time for boring old traditions to take a hike. This year, go for an adventure they'll remember. 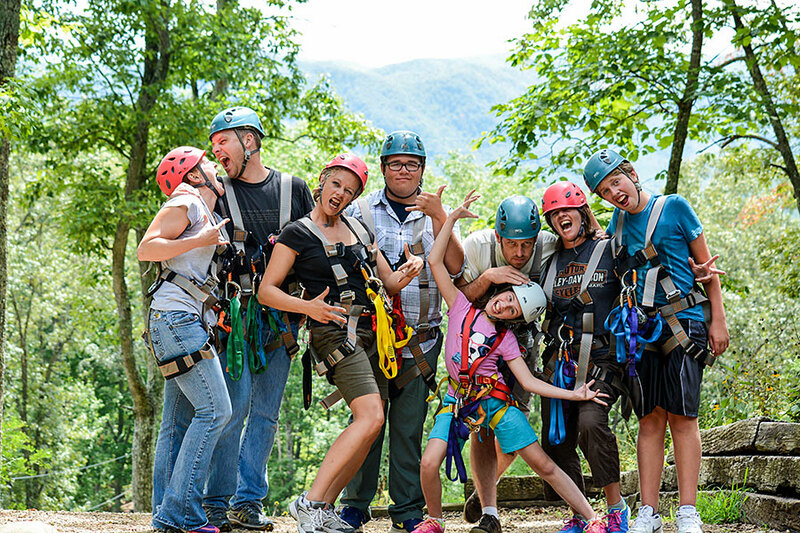 Book a Smoky Mountain zipline tour, and your family will be talking about it for years to come. Picture fifteen of your closest friends all zipping through the trees, laughing and having a blast, just like you did when you were kids. It's tree climbing, adult style. Instead of skinning your knees and scraping your hands you'll be flying through the treetops on a steel cable, nothing between you and the ground but a harness. If you're looking for a thrilling and unusual way to celebrate your next milestone birthday, Smoky Mountain ziplines should be at the top of your list. Those with spring birthdays will see the Smokies in all their glory, with wildflowers in bloom and a new generation of forest critters out romping in the warm sunshine. Summer celebrations will enjoy the lush greenery that blankets the mountains, providing cooling shade even on the warmest of days. Autumn birthday parties will experience the greatest fall color show on earth as the sweet, cinnamon scent of falling leaves fills the air. There's just no better way to celebrate your special day than with a zipline tour down the mountain, no matter what time of year you were born. If you think family reunions involve little more than sitting around eating chicken from a cardboard bucket and laughing at Uncle Arthur's tired old jokes, then you haven't experienced a Smoky Mountain zipline reunion. Instead of spending the day sipping warm lemonade and wondering if you'll beat the traffic home, you'll be darting from treetop to treetop like a bird, enjoying the scenery and filling your senses with the sights, sounds, and smells of these pristine forests. Everyone in your family – from the young to the not-so-young – will love the excitement and energy of a treetop tour of the Smokies. Towering trees, crystal-clear mountain streams, and meadows filled with wildflowers offer endless photo opportunities, so pack your camera. And don't forget to snap some shots of your smiling family as well. This is one vacation photo album your friends back home will love to see. A zipline tour is an exciting, fast-paced way to see the lush forests of the Great Smoky Mountains, but it's not just for the thrill-seekers in the family. Courses are designed to accommodate all skill levels from absolute beginner to experienced zipliner, and knowledgeable guides lead every tour to help ensure your safety. Whether you're celebrating a birthday, family reunion, or other memorable event, your relatives and friends will have a fantastic time in the Great Smoky Mountains. The only concern you'll have is how you'll top this when it comes time to plan next year's party. Kerry Hodge is Owner of Smoky Mountain Ziplines. This Sevierville zipline adventure offers excitement for the entire family ages 8 and up. Get details, pricing and book your reservation today.